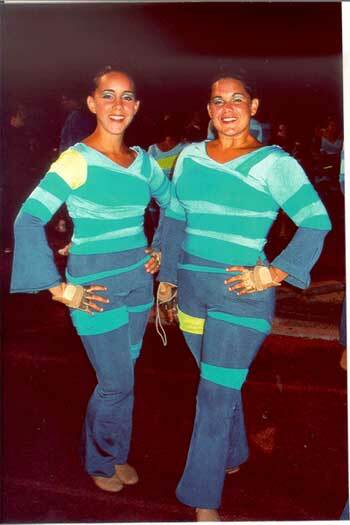 Elsa Velez sent this picture of her daughters in -- Alexis Velez (right, age 20, third-year Santa Clara Vanguard vet) and Katrina Velez (left, age 18, a first-year rookie). "The girls marched band and winter guard together in high school, and have been looking forward to reuniting on the field. Speaking of reunions -- their SCV color guard caption head (Adam Sage) is their former high school instructor who joined Vanguard this year as well. Small world." Thanks Elsa!